Road tripping with a car full of kids can be a challenge in itself, especially when you’re crammed into a small car. As my kids get older we find ourselves going on more and more outings with Boy Scouts and Cheerleading so it’s super important to have a car that makes these long rides more bearable. Our latest road trip took us on a 7 hour round trip drive that included lot’s of snow and cold weather. 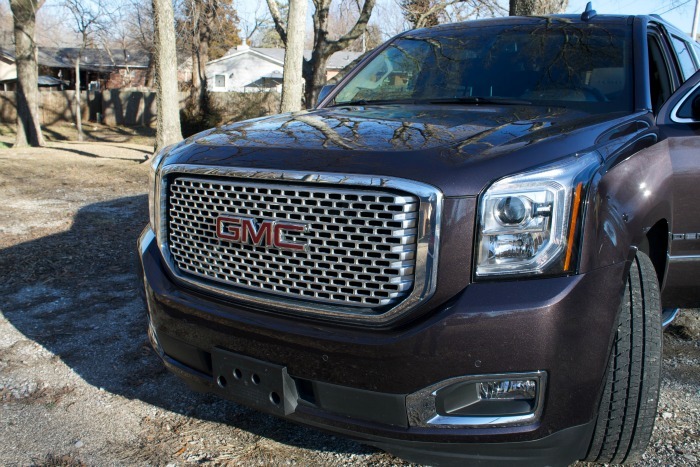 Thankfully we were able to ride in complete comfort and style in the 2016 GMC Yukon Denali XL 4WD. 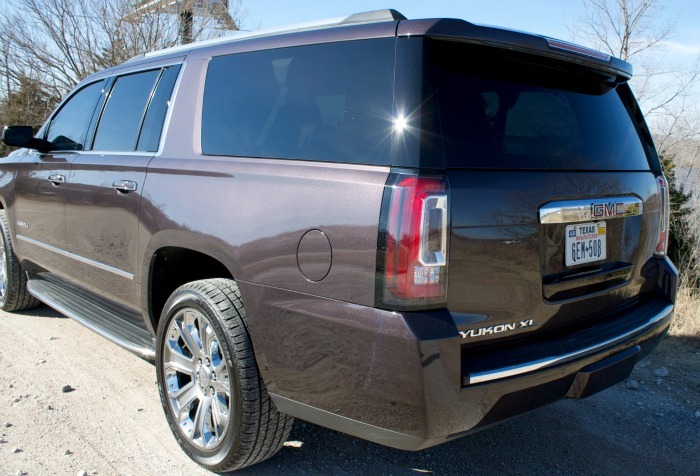 The Denali has all the features and luxury that make you actually want to get in your car and drive. Even with a car full of kids. 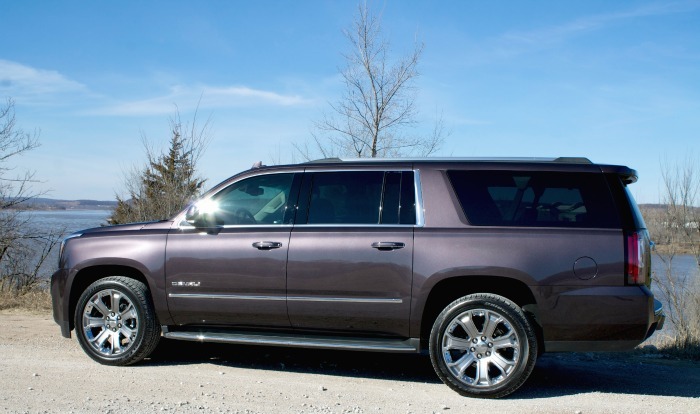 One of the first things that will capture your eye when looking at the 2016 Denali is it’s size. It’s large size makes it pretty much king of the road, and you will feel that way once you step inside. But ladies, please don’t be intimidated by it’s size. 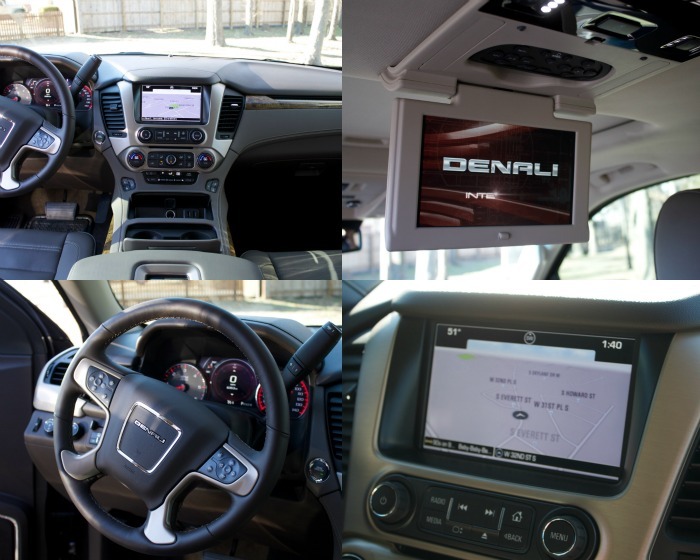 The Denali is really easy to maneuver and drive whether you’re in town, driving down the side streets or on the highway. 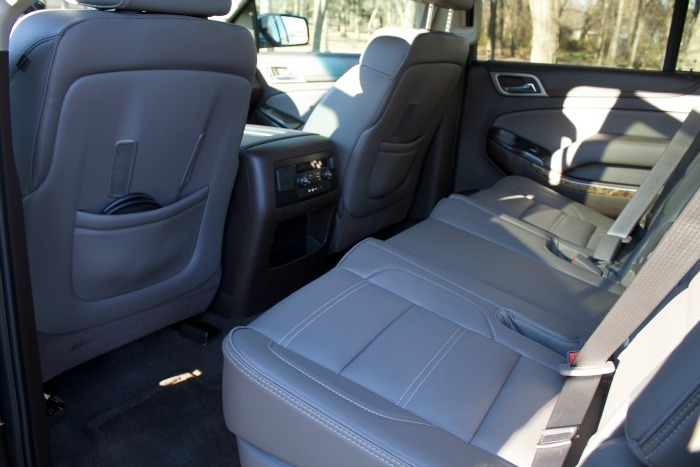 Inside the 2016 Denali you will find plenty of space and great features that will make every drive a comfortable and enjoyable one. Just ask my kids! They normally hate going on long drives but don’t mind one bit when they are riding in the back of the Yukon XL Denali. There is lot’s of space for everyone to comfortably have room to stretch. Plus the seats are super comfy especially with the heated and cooled seats in the front and second row. Memory Settings on Driver Seat, Outside Mirrors, Steering Wheel and Pedals. 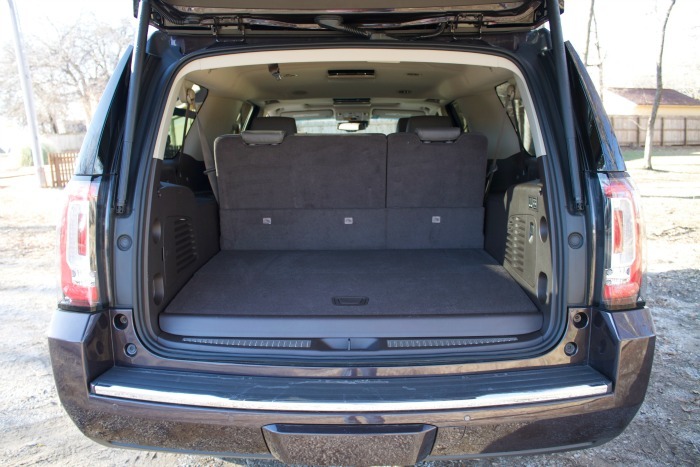 There is no shortage of storage space when it comes to the 2016 Denali. It has plenty of room in the back and even more if you fold down the third row. During our week with the SUV we were able to load the entire back with tents and other camping gear and still have more than enough room. I could really see this space coming in handy for a family that has kids that are into sports. There is tons of room to store sports equipment. I have always been a big fan of the Yukon’s so it’s no surprise that I feel in love with the 2016 GMC Yukon Denali XL 4WD. This SUV has everything that you would need in a vehicle. If you have a larger family and are looking for something that is comfortable yet luxurious at the same time, definitely check out the 2016 Yukon at your local GMC dealership.